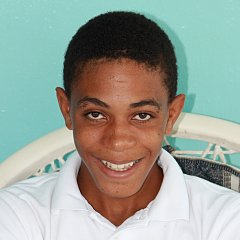 Carlos, 17, was the first boy to join the Josiah’s House family. He loves to sing “Open the Eyes of My Heart Lord” in Spanish. When he came to Josiah’s House, he didn’t know his vowels. He now loves to read! He attends a local Christian school and has previously received the Christian Character Award.